Don’t get stuck on the bench after the game ends. Betway’s betgames offers you betting options on live draws 24 hours a day every day of the year. Each game has a smorgasbord of betting options to choose from. Plus, with livestreamed draws with stunning hosts, there are few online real-money games that compare. Click here to register an account now and start betting on betgames. Placing your first bet on betgames is easy. You can do it from your PC, laptop or even while you’re out an about on your mobile device. To get started, simply follow our simple instructions below to get started betting on betgames. If you’re new to Betway, make sure you make your first deposit before betting. 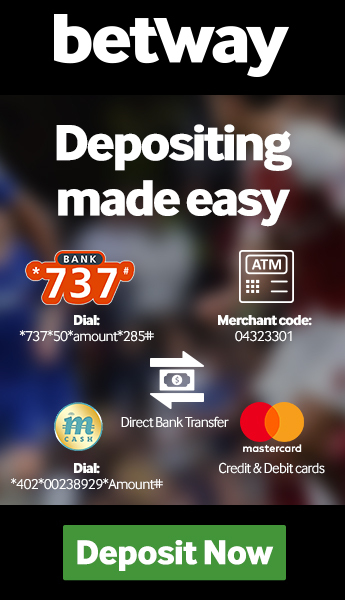 You can go straight to the banking tab, or view our FAQ page for a step by step guide to making your first deposit. Once you’ve made your deposit, your Welcome Bonus will be credited and you can start betting. Our casino classic betgames take a modern spin on your favourite casino games. The games offer a version of the original game with a livestreamed draw and a plethora of additional betting options. Unlike other betgames, casino classic rounds occur one after the other 24 hours a day with no delay between draws. One of the more obscure casino games, War of Bets is essential a game of high card. To play, you are required to predict which of two one-card hands will have a higher value. In addition to the classic betting options, the War of Bets betgames offers Colour, Suit and Value betting options. A variant on the popular Texas Hold ‘em poker game, Bet on Poker gives you the option of betting on one of six poker hands. The game features four betting periods: before the cards are dealt, once the six hands have been dealt, once the flop has been dealt, and finally once the turn has been dealt. In addition to having the option to bet on an individual hand, you can also bet on what the winning hand will be. Considered to be the game of kings, baccarat is often reserved for the ultra-wealthy. Our betgames Baccarat variant allows you to enjoy the game with new and exciting betting options. Play essentially requires you two predict which two-card hand will have the highest value or they will have the same value. In addition to this standard betting format, betgames Baccarat offers Side, Colour, Suit, Total and Even/Odd bets. Betway dice betgames take the classic game of dice and turns it up to eleven. The games offer unique betting options and livestreamed footage of the rolls with our always beautiful hosts. Dice and Dice Duel rolls occur every three minutes. Our standard Dice game rolls a set of five dice. You can place Combinations, Numbers, Total Sum and Odd/Even bets on each roll. Once a roll has been completed, a countdown to the next draw will appear. In addition to the countdown, you’ll be able to view the result of the last five draws. A round of Dice Duel features the roll of a pair of dice, one red and one blue. 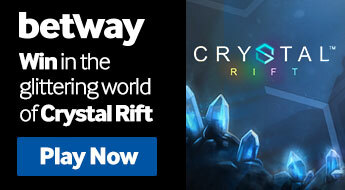 The main betting option offers you the chance to bet on the red or blue dice to have the highest value. This betting option offers 2.20 odds giving you the chance to more than double your money. Additionally betting options on offer include Numbers, Odd/Even and Totals. When we launched betgames, our Wheel-of-Fortune-style games were the first betgames we offered. These games utilise classic Wheel-of-Fortune-style mechanics with the aid of livestreamed draws and adds a number of exciting new betting options. Like dice games, Wheel-of-Fortune-style draws occur every three minutes. Once a draw has been completed, a countdown to the next draw will appear. The three Lucky betgames variants utilise the stereotypical Wheel-of-Fortune-style draw of numbered balls. The number follow Lucky is the number of balls draw each round for each game. For example, during a round of Lucky 5, five coloured numbered balls are drawn. With Lucky 5, 6 and 7 you have a wide selection of betting options. You can chose to predict just one number or try to win big by predicting all the balls drawn. Additionally, each games offers unique betting options on the colour of the balls and the combined numbers of each of the balls. Round and round it goes, where it stop no one knows. The Wheel betgames offers you the chance to bet on the spin on a jackpot wheel. You can bet on the specific number or colour the wheel will land on. If you’d like any more information on our betgames and home to play, simply contact our support centre. Our team of knowledgeable support agents will be able to assist you with all your betgames-related queries.